The International Monetary Fund (IMF) released its fourth review of Egypt’s economy on 6 April as part of the economic reform programme carried out as a condition of an extended loan of $12 billion. Egypt began receiving the IMF extended loan in 2016 and has thus far acquired $10 billion of the total. The tranches depend on Egypt’s application of the agreed IMF requirements, including floating the pound and the gradual lifting of subsidies. The IMF report expects gross domestic product (GDP) growth to reach 5.9 per cent this year, with an acceleration from 4.2 per cent in fiscal year 2016-17 to 5.3 per cent in 2017-18, “thanks to the authorities’ sound policy implementation”. However, GDP growth may reach a maximum of 5.5 to 5.7 per cent during the current fiscal year, in the opinion of Alia Al-Mahdi, a professor of economics at Cairo University. She believes a lack of major changes will not help the economy to grow at last year’s rate. A report by Beltone Financial, an investment bank, released this week anticipated 5.5 per cent GDP growth helped by the continuing spending on mega-projects. EFG Hermes, Egypt’s largest investment bank, had slightly greater expectations, forecasting GDP growth of 5.8 per cent by the end of June, said Mohamed Abu Basha, head of macro-economic analysis at the financial group. The IMF report said it based its expectations on the government’s following the reform programme, the “continued strengthening of tourism and construction and the rising production of natural gas” as well as increasing investments. The government, however, is targeting an overall deficit of 8.5 per cent of GDP this year, with an increase of 0.1 per cent after the budget was approved in June 2018. Projections for the overall deficit are in line with EFG Hermes’ configurations, said Abu Basha, adding that the forecasts are likely to come true. The overall deficit in the budget recorded 3.6 per cent of GDP during the first half of this fiscal year, down from 4.2 per cent during the same period in 2017-18. The Ministry of Finance is targeting to lower the budget’s overall deficit to 5.8 per cent of GDP in 2020-21 and reduce public debt to 83.1 per cent of GDP come June 2021, according to a ministry report released in February. At the time of the third IMF review, the government revealed its intention to lift all subsidies on all fuel products in June 2019, the latest IMF report said. Fuel is expected to increase by 10 or 15 per cent as a result, since its current sale price stands at 85 to 90 per cent of its production costs. “The authorities are committed to reaching full cost recovery by the end of 2018-19 for all fuel products, except for liquefied natural gas [LNG] and fuel oil used in bakeries and electricity generation,” it said. The price adjustment should take place in September 2019. On 1 April, the government started implementing a fuel-price indexation mechanism for Octane 95 petrol. “The reform of electricity subsidies will continue as planned towards the goal of full elimination by 2020/21,” the IMF report stated. However, it warned that the worsening international financial situation could render Egypt exposed to unexpected rises in the international price of fuel. At the end of March, the government set the price of a barrel of oil at $68 in the 2019-20 budget, Reuters reported. In next year’s budget, the government has allocated LE52.8 billion for fuel subsidies, a 42 per cent decrease on the sum this year, in which fuel subsidies stand at LE89 billion. The IMF expects Egypt’s public debt to continue to decline to 74 per cent of GDP in fiscal year 2022-23. The government, meanwhile, is targeting a deficit of 86 per cent of GDP this fiscal year and of 80 per cent in 2022. Al-Mahdi did not concur with the IMF’s figures, expecting foreign debt to reach more than $104 billion. 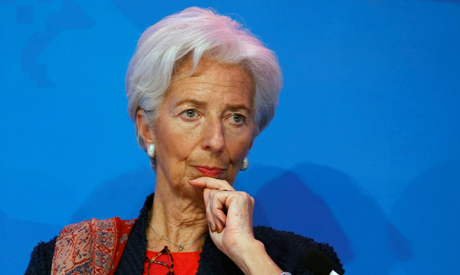 Even with growth rates estimated at higher than those expected of GDP, it would be difficult to achieve the IMF’s stated debt target, she said. The IMF report, in addition to a report by Beltone issued on Monday, put foreign debt to increase to $107 billion, up from $92 billion in 2017-18, and bridging the $11.3 billion gap expected in 2018-19. Egypt’s public debt reached 108 per cent of GDP two years ago and dropped to 97 per cent last year. The public debt to GDP ratio recorded 103 per cent in 2016-17 and 95 per cent in 2017-18 and is expected to reach 93 per cent by the end of this fiscal year. Regarding inflation, the IMF report said it would likely reach 13 to 14 per cent at the end of this fiscal year, dropping to less than 10 per cent by 2020. It pointed out that temporary inflation pressures resulting from price increases in food and fuel had largely been contained. Agreeing with the IMF, Beltone lowered its expectations of inflation rates by one per cent in 2018-19 to set them at 14.7 per cent. EFG Hermes’ Abu Basha said that “the increase in fuel prices next June, averaging a rise of 20 to 25 per cent on current prices, will lead to less inflation than recorded last year when fuel prices increased by 40 per cent.” He is anticipating inflation rates to range around nine per cent in 2019-20. However, Beltone expects inflation to reach 15.6 per cent in the same period as a consequence of the application of the fuel-price indexation mechanism in the first quarter of 2019-20. It “expects inflation to increase by 2.5 to 3.5 per cent as a result of the fuel-price indexation mechanism, which will lead to a 20.6 per cent rise in fuel prices,” Beltone said. Al-Mahdi believes these inflation expectations are unlikely, since rising fuel and electricity prices, coupled with the decision to increase the minimum wage in the public sector from LE1,200 to LE2,000 and increases in pensions after a judicial ruling, are all factors that could take inflation to levels higher than those anticipated. She added that the IMF’s forecasts for inflation rates at the beginning of the economic reform programme after lifting subsidies had been wrong, and so were its estimates of the exchange rate after floating the pound in November 2016. The IMF does not expect inflation to retreat to single digits before the advent of the 2020-21 fiscal year, when it is forecast to record 7.7 per cent and to continue regressing to 6.9 per cent in 2022-23. “Monetary policy will remain anchored to the [Central Bank of Egypt] CBE’s medium-term objective of guiding inflation down to single digits… The pick-up in inflation in recent months was driven primarily by supply-side factors (energy and food prices),” it said. “However, should demand pressures remerge, the CBE remains prepared to tighten the policy stance further as needed… To address the historically high volatility of food prices, the government is taking measures to address supply bottlenecks by improving logistics and transport infrastructure,” the IMF report stated. As far as foreign investment is concerned, the IMF expects direct foreign investment to grow to $11.3 billion in 2019-20 and to reach $16.9 billion in 2022-23. Abu Basha disagreed, anticipating foreign investment to record $8 billion next year. The government’s expenditure statement released earlier this month reported that direct foreign investment had reached $2.8 billion in the first half of the current fiscal year, recording a 36 per cent decrease on the same period last year when it had stood at $3.7 billion. Meanwhile, the IMF said Egypt’s foreign reserves would increase to $45.4 billion in the coming fiscal year, up from the $44.9 billion estimated this year. Initial public offerings to divest stakes in 23 state-owned enterprises over 24 to 30 months are already being held. They are expected to garner LE80 billion, according to IMF estimates.